What did you buy today? Post your latest purchase! Octane and 3 Guests are viewing this topic. Re: What did you buy today? Post your latest purchase! 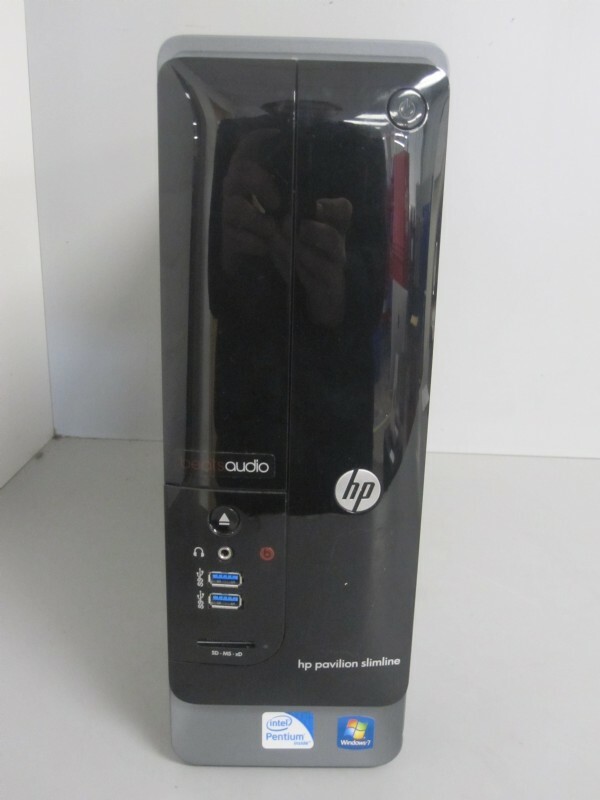 Picked up a decent used HP Slimline to replace my dead bench PC. I'll be doing a few minor upgrades to it. Two things you may want to add in there: a better processor and a graphics card. Just buy both used and you will get a good performer as a bench-side computer. Received this 858D+ hot air station today, from Amazon.de (€30...). One of the cheapest I could find, delivered. When I have the time... I will "take it apart"
Because I'm only human... A mistake is not the problem. Not learn from it and not trying to correct it, is. Don't be afraid to make mistakes, or you will end up doing nothing, being scared to even try to do something. Don't search for excuses for your mistakes. Find solutions. An a22 amplifier , hope it works. If not i'm throwing away money. I've got an SSD drive and AMD ATI Radeon HD 7570 1GB video card for it. I will be upgrading to a quad core i5 as well. That should be plenty for anything I'll be using it for. Got for 1EUR this baby Extron GLI-350xi (see attached pictures for a baby-teardown ), hopefully will make a 10MHz/1MHz distribution box for the GPSDO and Rubidium sources. They seem to be pretty modular, so if another forum member ask for a card I should be able to provide . Strange mix of 50 ohm (output) and 75 ohm bnc's (input). The units in the Ebay links are completely 75 ohm bnc's. How do you distinguish them, I've always been curious, or is a datasheet thing ? In the case of my baby it's probably because the standard for analogue video is 75ohm but the device is made to communicate with a similar device, so they used the best impedance for the distance. How do you distinguish them, I've always been curious, or is a datasheet thing ? 75Ohm BNC have less (or none at all) dielectric around the center pin than 50 Ohm BNC connectors. The video stuff is supposed 75 Ohm, so the 50 Ohm output connectors are in the wrong place. Historically, the difference at analog video bandwidths didn't really matter. Many Studio patch panels were wired with 50 ohm connectors, as they are less fragile than true 75 ohm connectors. When they started piping digital video signals around the Studios, the impedance became more important. Getting tired of using a manual solder sucker and trying to cleanly remove through hole parts during repairs, so I went to a hamfest today and scored a factory refurb Hakko 808 with limited warranty (the seller is trustworthy - I buy soldering equipt from him regularly). Soldering gear is its own kind of TEA; there's always just one more thing you need for "that special project". Nice one, Greg. It looks so fancy with that soft sleeve for the tip. Nice desoldering gun. I love mine (different model Hakko) and use it all the time. Bought a scrap HP 5340A for parts I need to get mine running. I need the older transformer with the 155V winding for the nixies, and this also comes with the otherwise unobtanium smaller Option 001 transformer to power the optional OCXO, along with a bunch of other bits to replace missing parts in my unit. I'll spin up my own Opt 001 power supply PCB and the OCXO is available online as it was used in multiple HP stuffs over the years. Any circuit design must contain at least one part which is obsolete, two parts which are unobtainable, and three parts which are still under development. So, I bought a bk9104 a year or so ago for some testing of a led driver board that had to operate at about 60V and several amps input. Now I need a new supply to deal with 12V or higher and at least 12A at the input. So, in steps a bk9103 (320W and up to 42V or 20A). Ok, just for you, one of them turned on and powering the LED driver prototype. A portable hard disk, MY PASSPORT by Western Digital. Two packs of 10m LAN cables. Looking for some 10GbE LAN cables that are honestly rated, only to find Amazon cables are all fake "CAT 7" with no bundle-level shielding. This is also not bundle-level shielded, but at least this is honestly rated at CAT 6A, not CAT 7. Weird, but sometimes the Japanese only sell some of their products domestically, and if you want it outside Japan, you have to buy it from shipping agents and pay a hefty international postage. You found the flat ones you were after, very nice. If you need more of those flat ones, hit me up. I'm sure I can send them cheaper than a shipping broker. Yup. The iperf3 test shows 9.86Gbps with 9k jumbo frame enabled on both ends and with 10 parallel threads. That's pretty darn good. The reason I chose Buffalo because I believe it's the inventor of flat LAN cables, at least the first flat LAN cables I've ever seen was a Buffalo, so I went for another one. I'm sure the Chinese fake CAT 7 will perform the same since they all use the same U/FTP construction, but I prefer to buy honestly rated products.